Bow ties have come back in a big way. These aren't the type of bow ties You see some College professor wearing. 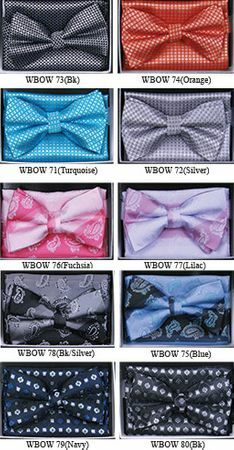 These are fancy pattern Bow tie sets that feature stylish patterns and designs ready to enhance Your mens suit collection. These bow tie sets come as You see them with their matching pocket square ready to impress.